Preferred Pricing gives you BiosLife Complete and all the other Unicity products at a discount (or full wholesale if you want a "Franchise" account, see note below). Why pay full retail if you don't have to? The company would prefer if you choose the "Auto Refill" option, so they also offer an incentive when you first sign up to waive the $14.95 fee to become a Preferred Purchaser. Auto Refill is great when you know you're going to be using product month after month -- if you want to wait and sign up for that later, that's fine too. You can change the auto refill at any time as well, so if you start, then want to switch to different products or cancel the Auto Refill altogether, that's easily done with a quick phone call to 1-888-bioslife (1-888-246-7543). You'll likely save more than the $14.95 on your first order, so the fee for preferred pricing is worth it. 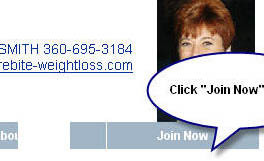 Go to my Unicity site, and find the link that says "Join Now" below the photograph on the right-hand side of the page. You can check out products first if you like, but be sure to come back to the Join Now link to set yourself up with a Preferred Pricing account. You'll be given your own Customer ID number to use for future orders. Select "Franchise Owner" if you'd like to build a business of your own using Unicity products, or choose "Preferred Customer" to simply purchase products at a discount. Next choose the Country where you reside. Referrer information comes next. If you don't see my name, Martyn-Smith, Kathryn and my associate ID of 98006201, then type it in. This ensures I am the person you would contact with questions or help with your orders. Now complete your contact information. Items marked with an asterisk * are required, all others are optional. Toward the end you can elect to receive emails from the company other than receipts and information about orders. If you'd rather not receive any other company e-mails click the boxes to unselect them. Yes, you pay a $14.95 fee to receive the "Preferred Customer" pricing. You pay a fee at Costco, right? You'll save that fee on your first order. You can waive the fee if you choose Auto-Refill. Next, decide if you want to initiate an "Auto-Refill" order which is handy if you plan to use products regularly. As an incentive the Preferred Customer fee is waived if you choose the Auto-Refill option (remember, you can cancel the refill at any time, so it's an easy way to save yourself the fee). If you simply are not comfortable with that, or would rather not have the Auto-Refill option, then do not check the box. If you DO want to create an auto-refill program, for instance, you know you're going to use a certain amount of product every month anyway, then go ahead and choose auto refill, you'll be glad you did. Months go by pretty fast and it's a drag when you run out of product because you forgot to reorder. Next to every item is a box to check if you'd like that item included in an Auto-Refill order. If you choose an item for Auto-Refill but did not elect this option above, you'll see the pretty red error message. Click the box to say, Yes, I do want auto refill, or uncheck auto refill on the items you ordered. Now you'll be shown the screen to enter your credit card details and your order will be on its way! The shipper sometimes asks for specific neighborhood information, for instance, I live in Vancouver, Washington and my neighborhood is called Hazel Dell. Under shipping, I'm asked to choose between Vancouver and Hazel Dell and in this situation the correct choice is Hazel Dell. I know, it's confusing but choosing the name that most closely describes your location will expedite shipping. If you have any questions after placing an order, or want ideas on how best to use your products for weight loss, lowering cholesterol or reducing blood sugar issues, please contact me.